If you’re new to the area, new to bicycling, or want to get more of your friends out on bikes, here are some of the countless group rides in the D.C. metropolitan area. Group rides are an excellent opportunity to get to know a new area, new people, and your bicycle.We crowdsourced our Women & Bicycles forum for group-ride suggestions, and many members gave personal endorsements in addition to general information. Feel free to share your own suggestions! See the full list below the jump. Where: Intersection of Lamont and Mount Pleasant streets, Washington, D.C.
About: A smaller (~5-30 people) evening ride that lasts about an hour. The smaller group allows everyone to go more places at a slightly faster pace than some of the very large group rides. But it’s still definitely a ‘cruiser’ ride–i.e. not too fast. Where: Meet at the shop, 1019 7th St. NW, Washington, D.C.
About: Rides vary in size, duration, theme, and tasty treat, but you can count on a good time. BicycleSPACE is building a fun and lively community for bicyclists in the D.C. area and they do it one fun group ride at a time. When: Every other Sunday at 10:30 a.m.
Where: 2501 Champlain St. NW, Washington, D.C.
About: The ride is considered intermediate, ranging between 11MPH and 15MPH, for 20 miles or so. Where: Virginia, Maryland, and D.C.
About: The mission of Black Women Bike DC is to build community and interest in biking among black women through education, advocacy, and recreation. This means lots of fun group rides throughout the region! Where: 719 8th St. SE, Washington, D.C.
About: Check out Capitol Hill’s community group rides led by a neighborhood shop. Their weekly monument ride, around town ride, and no-drop long ride attract a good group of people and usually end with good drinks. Where: In and around Washington, D.C.
About: For the last 2 years Kidical Mass DC has been a great place for families to come together and learn about and experience bicycling. Rides are a great way to try out new equipment, new routes, and get new family members out on bikes. Rides usually incorporate a fun activity like water parks, arts and crafts, or snacks! About: The DC Bike Party is a place to ride bikes, make friends, and have a real cool time. Once a month, the group explores the city via bicycle with a new route, a new playlist and a new post-ride bar. Everyone is welcome, and the ride is free. All post ride outings are 21-plus. Ride is slow, leisurely, and anti-jerk. Where: 1412 Q St NW, Washington, D.C.
About: “Before the Internet, before custom bikes, and before titanium and carbon fiber, learning to ride was an apprenticeship,” says Bike Rack. These rides are all about camaraderie and building up skills. When: Every Saturday morning, 9 a.m.
Where: 11943 Democracy Dr., Reston, Va.
Where: Maryland, Virginia, and D.C.
About: For $15 a year, you can be a club member of the Oxon Hill Bike Club, a nonprofit club for hundreds of bicyclists throughout the region who promote bicycling by organizing group rides throughout the year, for all experience level and all interest. About: Potomac Pedalers is one of the largest bike clubs in the nation. Rides are typically between 15 miles and 75 miles, and average speeds range between 8mph to more than 20 mph. In other words, the club offers something for everyone. Individual membership is $30 per year. Where: In and around College Park, Md. About: Proteus hosts many group rides for varying skill levels: regular beginner rides Saturday mornings, intermediate/advanced rides (22-plus miles at 14-16 MPH), beginner/intermediate rides to D.C. for food and shopping at moderate pace, and social gatherings like weekly potlucks. About: WWO is a local group geared to bring women together through outdoor activities. Members in the D.C. area hike, climb, cave, backpack, kayak, cross country ski, hang glide, and bike! 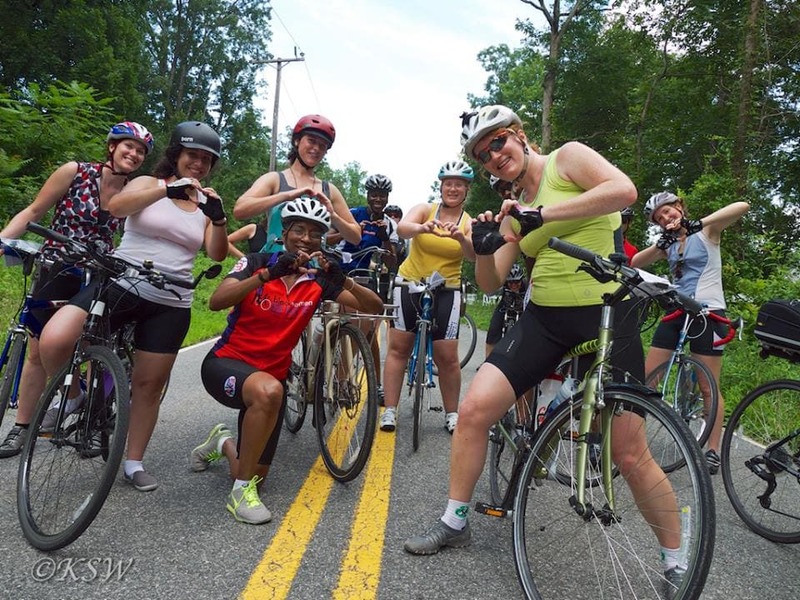 About: Babes on Bikes is a group of women who enjoy bicycling and meet regularly and ride throughout Virginia and Maryland for varied distances and at varied speeds. Members range in age from mid-20’s to mid-70’s. Many of whom are stay-at-home moms, have flexible work schedules, or are retired, so they love to ride during weekdays. Weekend rides are coming soon. The group doesn’t announce ride information on the website, only through the private email list. About: The goal of Sassy Sister Cycling is simple: provide the opportunity for women of all riding abilities the chance to ride with a group of fun-loving cyclists! They are not a racing focused club or a competitive club, though many members do race and provide support to anyone interested in trying it out. About: This group of 1,000-plus locals ride with a strict “no man left behind” philosophy, so that everyone can enjoy themselves without fear of getting lost or left behind. Cyclists are encouraged to attend rides that match their experience-level. There are many ride opportunities for all experience-levels: Intro, Beginner, Medium, Advanced, and Informal. About: This is a fairly new co-ed meetup cycling group for anyone who enjoys cycling in the Brandywine area. About: RBAC coordinates regular community rides that bring people together to explore bike-friendly Rockville. Rides are family-friendly and welcome to all skill levels. Topics: Uncategorized. 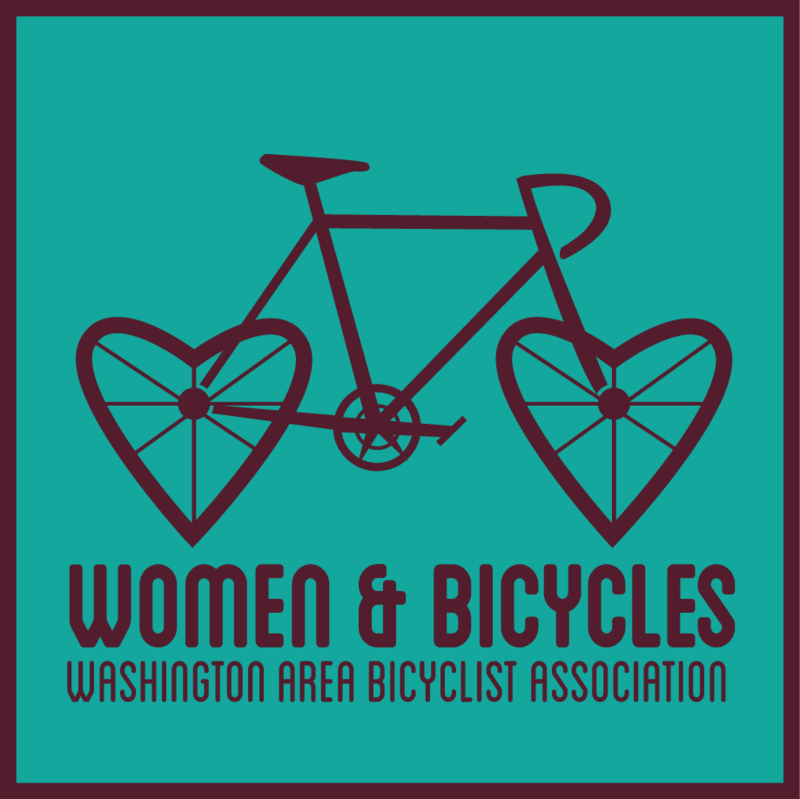 Tags: news, outreach, rides, tips, Women & Bicycles, women & bicycles wednesday.